Imagine this: A bright, sunny day. You are currently standing outside a promotional tent for a business, and have just purchased a raffle ticket. The grand prize is a new car, but you know that there’s an incredibly slim chance you’ll obtain it. Regardless, you still bought the ticket, and are currently waiting for the announcers to call the winner. Hundreds of people stand nearby, just as eager as you are to see if they’ve won. As you hear the winning numbers announced, your heart begins to beat faster and you jump with excitement as your number is announced! Your heart pounds as you come up on stage, eager to claim your prize. You’ve just one a brand new car! How lucky and amazing! This is the kind of excitement that a business can bring to potential and current customers through a raffle. With the chances at winning a prize, this type of event can be a truly fantastic way for business to keep and obtain customer satisfaction and loyalty. Through a raffle, the marketing departments of businesses can spread their image and message to customers in a unique way. They can allow for customer satisfaction, spread an image, and increase public relation. 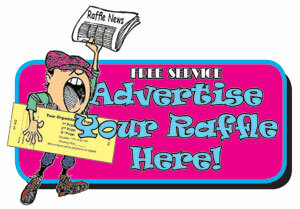 Raffles are also a financially smart way to promote business without ridiculous amounts of money. If the tickets cost money, the business may even be able to make a return on the money spent. If not, raffles are still relatively cost efficient, considering other forms of advertising (such as commercials, billboards, etc.) are very expensive. To continue, raffles allow any and all people to come in and have a chance at winning something. They appeal to everyone, and show people who wouldn’t normally approach the business something new. The positive excitement associated with a raffle can allow for people to associate positive, excited feelings with whatever company is running the raffle. This leads to an increase in people subconsciously understanding they might want to purchase something through this particular business, due to the fact that they have already associated positivity towards said business. This has benefits towards many customers – those who are loyal will understand this business is giving something back, and feel good about it, thus prolonging loyalty. Those who are new may look at this company in a way they never have, and want to buy their products as a result of the positive experiences had through the raffle. The other positive impact a raffle has is to let customers’ know what types of products are available to them, and increase sales for a particular product promoted prominently through the event. If a car company decides to do a “win our brand new car” raffle, they can not only showcase that product to the person that wins it, they can get hype and image surrounding the product. It can get people talking about that, and thus, increase the likelihood they will purchase it. To conclude, raffles are incredibly positive for businesses in a wide variety of ways. Their cost-efficient nature allows for lots of promotion with a minimal amount of debt. The giveaway of an item allows for customers (both current and potential) to associate positive images with the company and increase sales. Finally, the giveaway will reward someone, and allow for excitement and joy to be spread to customers, ultimately bettering the public relations of the business.